Tom Monte is the author of Unexpected Recoveries: Seven Steps to Healing Body, Mind, and Soul When Serious Illness Strikes. Unexpected Recoveries reports the common characteristics among people who have overcome life-threatening diseases with the use of complementary healing methods. Unexpected Recoveries also reports the scientific support for such methods. 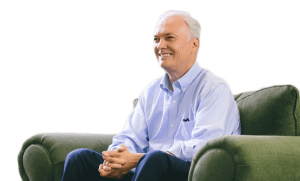 Tom has written or co-authored more than thirty-five books on health, healing, and personal transformation. In addition to Unexpected Recoveries, his works include the bestsellers, Recalled By Life and Living Well Naturally (both with Dr. Anthony Sattilaro). He is the author of The Way of Hope, about New York City’s gay community and its fight against HIV and AIDs with the use of a healing diet and lifestyle. He is the co-author (with Elliot Tiber) of Taking Woodstock, which was made into a feature film by famed director, Ang Lee. He also wrote World Medicine: The East West Guide to Healing Your Body, and The Complete Guide to Natural Healing, which provides natural healing methods for more than 120 illnesses and disorders. Tom’s work has appeared in leading magazines and newspapers, including Life Magazine, The Saturday Evening Post, The Chicago Tribune, Runner’s World, and Natural Health. Tom has lectured and conducted extended healing workshops on health, healing, intimate relationships and personal transformation throughout the United States and Europe. He is the creator and primary teacher of the “Healer’s Program”; “Living in Alignment”; and “Tom Monte’s Relationship Program”, all multi-module workshops for restoring health, healing the heart, and restoring love between committed partners.